You are viewing all comments posted under California. I would like to pay tribute to all who have served this great Nation to include my uncle Mickey, a WW II veteran, and my father who served in the Army from 1957 - 1965. I would also like to thank all those who help veterans with our issues. Although we may not always be able to articulate how we feel, your support is greatly appreciated. Service to country has somehow eluded our family, timing of war being such as it was... Except for my 2 Uncles... Uncle Jimmy... and Uncle Frank. Uncle Jimmy, served in WWII in Alaska. Served with distinction amongst snowy peaks running communication lines... Uncle Frank, was a WWII B-17 waist gunner on B-17G bomber "5 Grand," celebrated 5,000th bomber built by Boeing. They were shot down and crash landed in Allied territory, Dec. 1944 all hands safe. Coming up on 60th anniversary of the event! Thanks Jimmy & Frank... Love you and so admire your contributions and sacrifices... Thank-you. See you soon. WOW!!! What a wonderful tribute and GREAT pictures and the great stories! You can stand proud that your Uncles did their part. My wonderful husband is a retired Air Force Major with 25 years of dedicated service under his belt. He is an excellent role model for his children and step-children, is kind, thoughtful, conscientious and loving. He loves horses and his service-related disc disease is eased greatly when he can spend time with horses, they are full of love like him..thank you! Discovery Ranch is a nonprofit organization in Saskatchewan, Canada providing Eagala model EAP/EAL. Please put Grenfell, Saskatchewan on the map! You got it! Thanks for serving our Wounded Warriors and their Families! Dream Catcher of Los Angeles Therapeutic Riding Centers and Horses for Forces want to salute our Veterans that competed in the Kiwanis Horse Show at Hansen Dam on October 7th. My grandfather, Wilbur Little, served in World War II as a mechanic in the U.S. Army Air Force. He was stationed in Australia and worked on B-29's. While he may have not seen combat action, it was because of his effort (and many like him) who kept the machines working that helped make our victory inevitable. I recently found out that he trained at Hunter-Liggett Field in California, and then was stationed at Minter Air Field (just 15 minutes north of Bakersfield, where I live). I am now volunteering my time to the Minter Air Field Museum (in honor of my grandfather) to help keep the memory of these brave man alive and to teach generations of kids the heroism and sacrifices that our veterens made to keep us safe and free. Congratulations to Don van Straaten, who is a Board Member of DreamPower Horsemanship and President of the San Martin Lions Club. 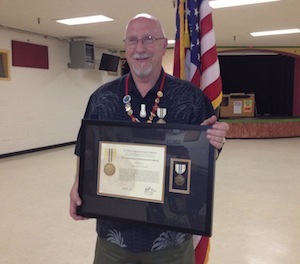 On June 30, 2012 Don was awarded by the Military Department, State of California THE CALIFORNIA COMMENDATION MEDAL. 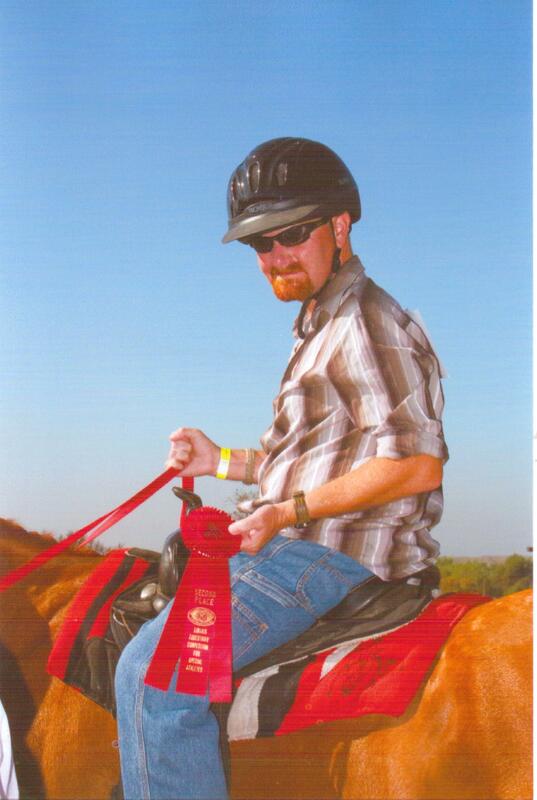 Don said, "My work with and being on the Board of DreamPower with its dedication to our "Horses for Heroes" program and the care we extend to our veteran clients is of major importance to the military community. 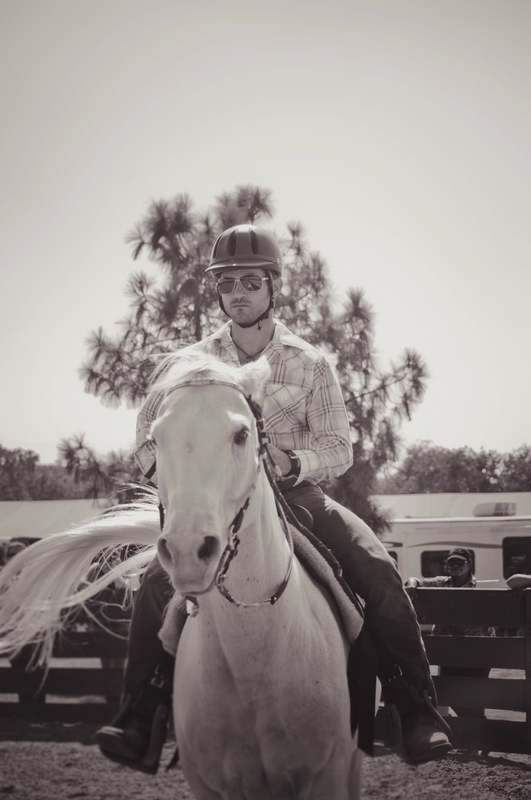 DreamPower and the "Horses for Heroes" program shares in this marvelous honor. Included in the award was my dedication to Military Funeral Honors and final care for veterans funeral services." Don and the San Martin Lions Club, we at DreamPower are grateful beyond words for your support of our veterans and military personnel and their families. 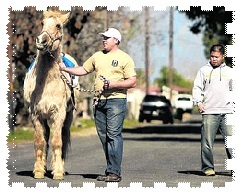 Our Horses for Heroes program got off the ground because of your support and we are truly grateful. Your support through the years through funding, food preparation and serving, and physical labor has made our veterans' program possible. Thank you, San Martin Lions, for your support and Don, we are very proud of you!! And thank you, Scott, for your inspiring words! The All Glory Project had an awesome display at the Hollywood Charity Horse Show. My friends and I had so much fun and really enjoyed the 11th CAV and 300th Army Band as they paid tribute to our service members, past and present. The veterans who participated in the arena show were very honored to participate and can't wait to attend the competitions and arena show next year. Thank you, Elizabeth, for all you are doing for our veterans. The All Glory Project was thrilled to team up with William Shatner's Priceline Hollywood Charity Horse Show, presented by Wells Fargo. We look forward to bringing Elizabeth, other celebrities, a well as our military veteran riders and presenters to other events that invite us, as well. Understanding Bonds Buddy is a teacher and friend to many. I've known Buddy for just over 10 years but I don't know much about his life before I met him. When I met him, some were afraid of him as they said he was spirited when he was out in the nearby hills. I didn't see that in Buddy. I saw a calm introvert, also considered the strong and quiet type, who did not like to socialize too much. However, Buddy was always there when we needed him and never complained of any chore or task that was asked of him. He seemed especially fond of children or those who were considered disabled. He took a lot of care to earn their trust. Anyone else, however, he would turn his back to them and walk away. Buddy's long blond hair is often disheveled and in dire need to brushed but he has been known to attract quite a few females nonetheless. His attitude is pretty easy-going as he seems to have experienced a lot in his life. He is still very caring to those with physical, mental and emotional disabilities. He walks carefully around those who need assistance walking and he will often carry them on walks where their wheelchairs cannot take them. He will lend an ear to people who need someone to listen. He will over a shoulder for those who need someone to lean on or a shoulder to cry on. He never judges. He never scolds. His joy seems to be to comfort. Buddy is one who likes to play jokes on people. One time I went outside to visit him and I noticed he totally wrecked the place. Buckets were thrown all over the place, shovels and rakes were scattered and he left the hose on and in the middle of the road draining down the drive. When I called for him I saw him peak his cute, fuzzy chin out from behind a young tree that was about 2-inches in diameter and about 7 feet tall. The silly goof acted as if I couldn't see his rotund bottom sticking out of one side of the tree while his sloppy locks protruded from the other as he had a very sly grin and sparkle in his eyes. When I laughed and told him I found him, he just skipped off shaking his head and then came over and gave me a hug. He continually teaches me about how to shrug off worries and enjoy life. Buddy is preparing to retire from his current teaching position of which he has been at for about 30 years. Lately, however, he has been working with some veterans who are still suffering from the invisible wounds they have received from combat. He has some friends that visit him from the Korean War, the Vietnam War, and from our current conflicts. They hang out with Buddy and tell him what is currently going on in their lives. By just listening to what they have to say, he helps them relax. Buddy is a homebody of sorts. However, he will sometimes walk down the street with these veterans. He has always been very cautious when he walks around the neighborhood and sometimes seems a little edgy himself. He often reminds the veterans of themselves. Just like when they walked the roads or trails of their battle zones, they had to be on heightened alert, Buddy tends to be on heightened alert when he walks "the hood." Sometimes he startles at what appears really small to others such as a cat jumping out of the bushes and running across the street. As the veterans walk with Buddy and calm him down, they are also reminded of how some of the small things they get upset about look big to them, but are also small to everyone else. As they help Buddy relax, they also learn to relax. They understand each other even if no one else understands. I've been with these folks on their walks and it's very heart-warming to see the camaraderie grow among these "tough guys." Man, I sure love this horse! This is so amazingly charming moving! I feel like I know Buddy personally, now. THIS is one reason why anila-assisted therapy is so effective - they touch our souls. 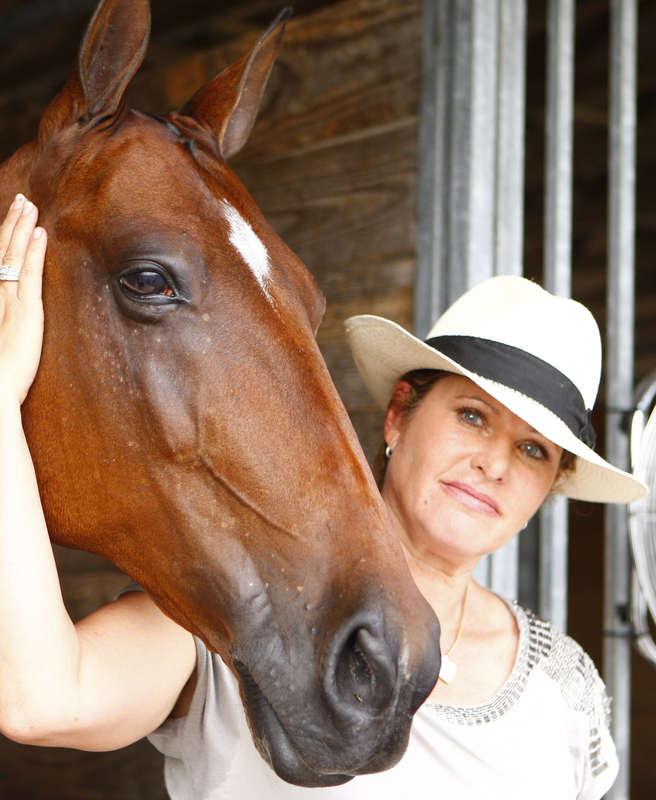 A local Horses for Heroes, equine therapy for veterans. Dreampower Horsemanship. 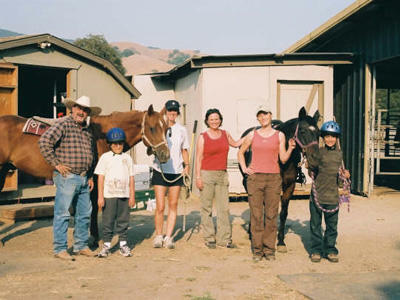 A fantastic group of volunteers who do a lot for the community of Gilroy, CA. They have a variety of different programs. I love that not only do they have the veterans program, they also work with with children, teens and adults with mental, emotional, and behavioral problems and with complex medical issues and disabilities. Hi Dreampower! It's great to hear fom you guys! Would you lke to also post a tribute about Tulips? The All Glory Project belives in thanking the 4-legged souls that serve our returning soldiers, too Also, you guys (and other centers) can contact us and get your center put on the Gratitude Google Map so folks can find you.